New and pending regulations have emerged from an array of laws including Dodd-Frank, the UK Bribery Act, and the Foreign Corrupt Practices Act. These regulations challenge internal audit and compliance professionals to meet increasing information requests and compliance requirements with their existing resources. To effectively meet these demands it is crucial that audit and compliance groups work in tandem to increase efficiencies, maintain and reduce costs and enable the organization to maintain compliance initiatives and make informed and accurate decisions. 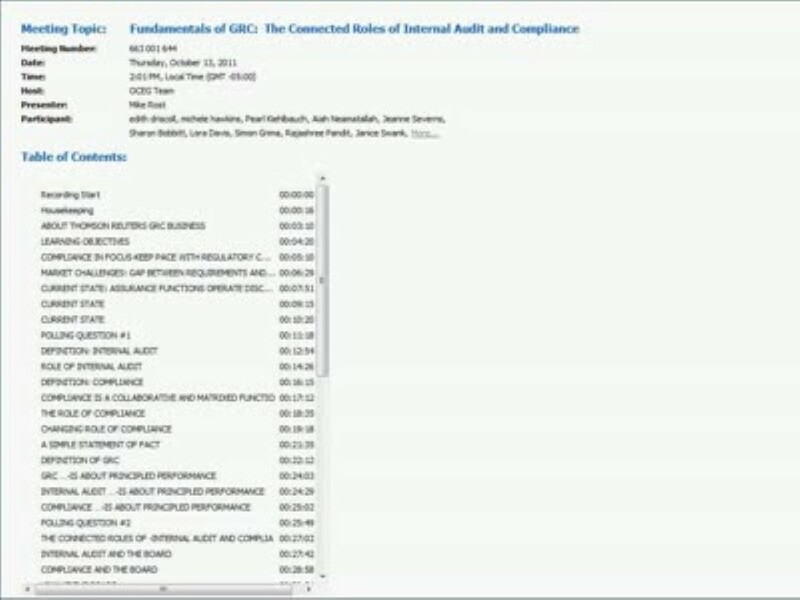 We have emailed instructions to access Fundamentals of GRC: The Connected Roles of Internal Audit and Compliance to . Make sure the email arrives in your inbox: either add "support@oceg.org" as a safe sender to your email platform, or if you use Gmail, drag our email into your Primary tab.